The comic book direct market system is obviously the best system for distributing comics the world has ever seen, one which must honored and preserved at all costs, for the sake of… (checks to see if anyone is listening) Good, they’re gone. Okay, we all know it’s a pretty goddamn crappy system. First of all, while specialty stores are a great place to buy superhero comics if you already like them, they are a completely ineffective way to attract new readers. Second, the general lack of returnability incentivizes publishers to rely on gimmicks that make retailers order more comics as opposed to tactics that might get more readers to buy them or make the comics more enjoyable for existing readers. 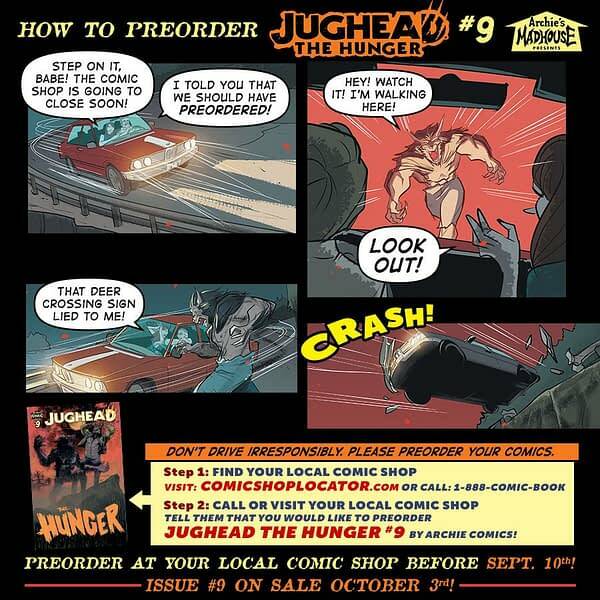 Once the retailer has bought the comic, it doesn’t matter to a publisher’s bottom line whether it ever ends up in the hands of a reader, so we get things that retailers like — like ultra-rare incentive variant covers — rather than things that readers like, such as comics that provide a fulfilling single-issue experience or comics that go for more than 18 issues without getting rebooted and more than 6 without being dragged into a super-mega-crossover event. Finally, the insulated and finite readership encourages price-gouging. Capitalism requires growth, and if you’re not growing the readership, you have to grow the price. It also makes it so that comics that aren’t top sellers seem to be constantly on the verge of getting canceled or rebooted, with comic book pros always laying down a guilt trip on readers to keep books alive by pre-ordering them weeks or months in advance. The job of readers should be to buy and enjoy comics they like, not to keep the industry afloat by reading advance solicits and following sales charts. Being a customer shouldn’t be that stressful! But it’s the system we’ve got, and one the superhero-industrial complex is determined to protect at all costs, which is why they sell new digital comics for four bucks and a @#$%storm kicks off every time a publisher tries to get its comics stocked in Walmart. Somehow, the industry fails to see the irony in fearing any threat to the status quo so deeply when every twice-yearly super-mega-crossover event is promoted on the notion that nothing will ever be the same again. Regardless, until someone at Marvel or DC grows a spine and starts selling brand new digital comics for 99 cents, and/or getting affordable comics of some sort into mainstream retail outlets, we have no choice, unless we want to suffer total industry collapse and go without our weekly fix of corporate-owned intellectual property, but to continue to feed the beast. 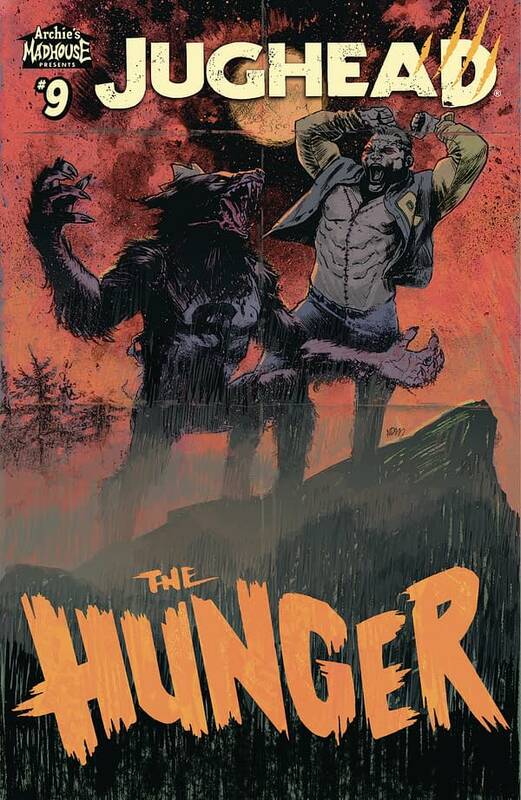 Which brings us to Jughead: The Hunger #9, in stores October 3rd. The final order cutoff is Monday, September 10th, which means it’s the last chance for your retailer to add it to their order, which means it’s your last chance to pre-order a copy from your retailer. Look, do you want to be the person who didn’t pre-order the one comic that serves as the tipping point for the whole industry? !